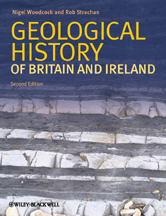 New edition reflects numerous advances in understanding of geological history of UK in last decade. New material on paleontological history New Chapter on effects of Geology on human settlement, land use , industry and so on 'Hot topic' boxes to show impact of global events (ie. extinctions) on UK geology.